Sharing a string of life thoughts…one pearl at a time. Yes; my mouth fell open. Combining a multi-generational family into one home during this season of our lives obviously doesn’t come with an instructional manual…at least one I can understand. Home is still where our stories begin and continue, and with that being said, we’re a little over a full year into tenderly stitching dad and Princess Sassypants (Poppy) into our home. While nothing is perfect (remember, I despise that word), through grace, we thankfully haven’t lost our sense of humor yet. Laughter, teasing, and smiles are some of the greatest tension relievers on the tough days. My mom often noted how “the shortest distance between two people is always laughter.” Daddy subscribes to the philosophy of “a good time to laugh is when you can.” Even with his growing health concerns and loss of memory, he is remarkably full of life, laughter, and lots of stories. He is the proverbial rose-colored glasses guy because he whole-heartily believes there is always, always, always something to be grateful for each day. He chooses to walk to the sunshine in order to leave the shadows behind him. His brain is astounding…one minute not remembering how to tie his shoelaces, and the next minute, spouting pearls of wisdom rendering me speechless. 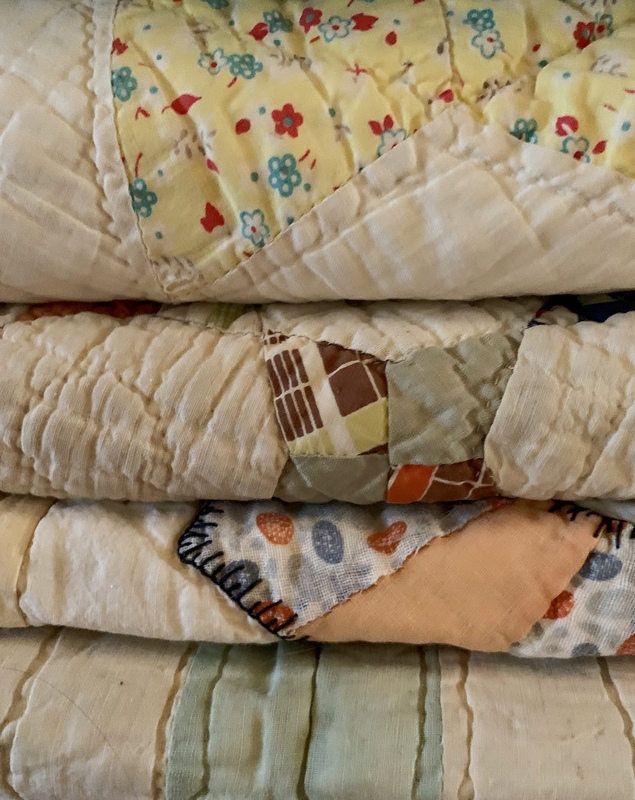 You ‘re right daddy; families are like our old quilts…carefully crafted and pieced together in colorful memories bound tightly in love. 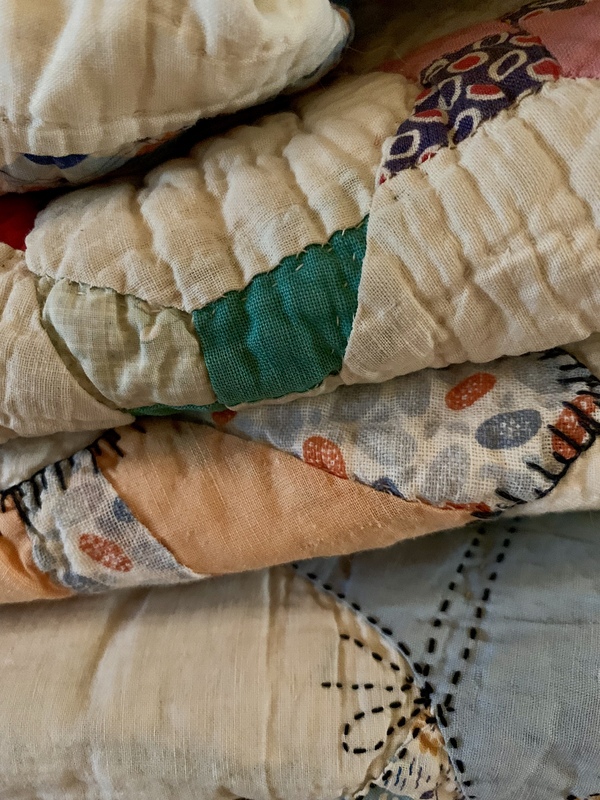 Although they tend to unravel at times, each can be stitched back together with kindness, understanding, patience, love, and lots and lots of grace.